Learn more about the officers representing the Idaho Building Contractors Associaton, Inc (IBCA). Explore this section of the site. Looking for local affiliates of The IBCA? Click here and browse by region or by name. Learn more about the mission and purpose of The IBCA councils and committees. The Registered Master Builder is a program offered by The IBCA. Learn more about the program. Interested in learning more about your industry? Browse our educational opportunities and stay abreast of the latest tips, techniques and more. The construction industry is constantly changing. Whether you're a potential home buyer or a contractor, staying on top of these changes or making sure someone is staying on top of them should be your number one priority. That's where The Idaho Building Contractors Association, Inc (IBCA) steps in. We are a statewide association made up of eight local associations that are dedicated to maintaining the highest level of building standards in Idaho and across the country. 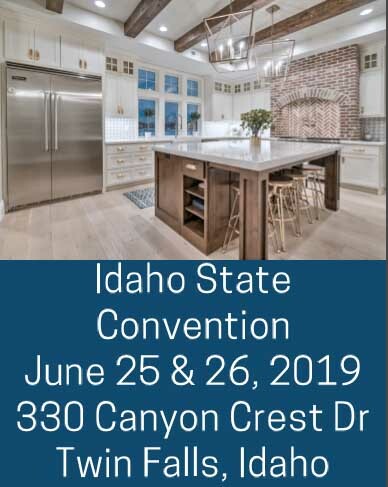 Don't Miss The Idaho State Convention! The IBCA is a proactive trade association representing the home building industry - committed to promoting and protecting the American dream of home ownership. As a voice of the industry, we provide education, information and networking opportunities. We are dedicated to professionalism and the highest ethical standards in our industry. For information about your local building contractors association or for general questions, contact The Idaho Building Contractors Association, Inc by calling 208-378-0101 today!